Apr 22, 2017: Crazy plan. lend me your ideas: Removable mount for a monitor in van? Jun 09, 2017: Finally finished my Print &amp; Play Battlestation! Jan 14, 2018: Looking to buy a second monitor - need some advice. Jun 10, 2018: I've lurked for a while, now I must contribute. 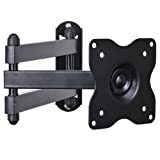 Nov 20, 2018: Wall-mount for ultrawide monitor? Feb 11, 2019: Looking for best portable ps4 screen.